They say it takes a community to raise a baby… Well, it takes a team to accomplish a mission! We have such a team of committed staff, and volunteers and also givers. We can’t talk about our work without recognising the contributions of those who motivate, inspire and encourage us with their provisions and their participation. One of those, who we keep talking about is Yemi Adedeji! I think we just have to say she’s a part of the family now. She has continued to visit us weekly to help the children with their studies, and also to inspire creativity and passion in them. 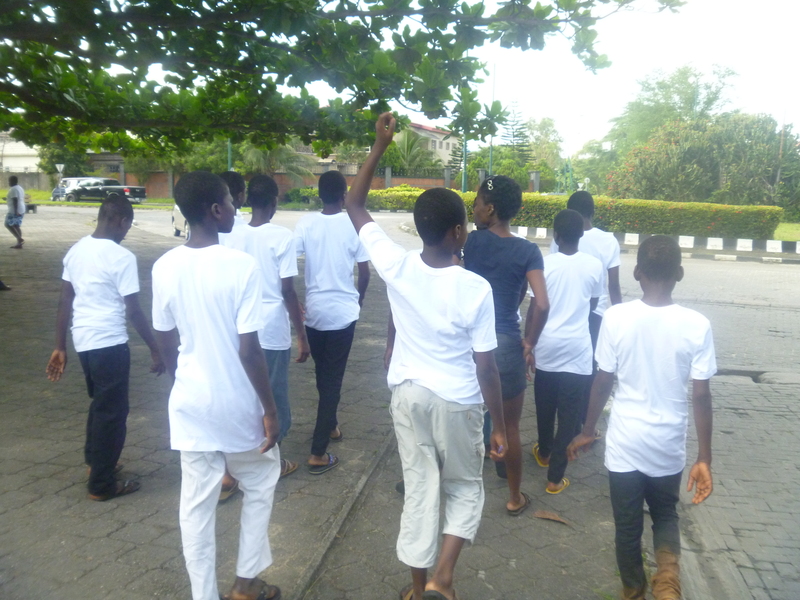 One Saturday, she decided to give our boys an unusual treat by taking them to see a wealthy area of Lagos, to inspire them to strive for a better life. She took them on an excursion to Victoria Garden City (VGC), where they saw lovely houses and gardens, and also went into a supermarket to purchase some treats. She has inspired Victor Aboh, her friend, to become a regular at the Home too. Our old friend, Njideka Ojukwu, and former Fundraiser, came by with her fiancé, Raleke Obiora (and sponsor) to spend time with the children one Sunday. They kindly left a donation for their upkeep too. A couple of friends from Lafarge WAPCO (West African Portland Cement Organisation) also stopped by to visit and offer their aid. 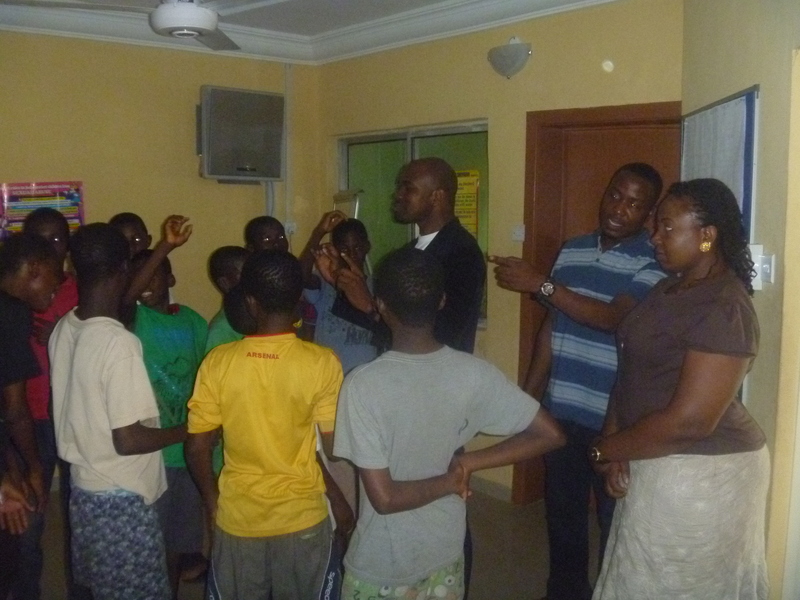 Toju brought two new friends, TJ Chunu and Oke Taunu, who came round to visit and inspire the boys, and another, Stanley Okonye, who has been offering his professional services as a volunteer accountant! Two other friends, Jumbo Ogechi and Wahaab Adeniji, stopped by to drop off clothes and books for the boys at separate occasions. 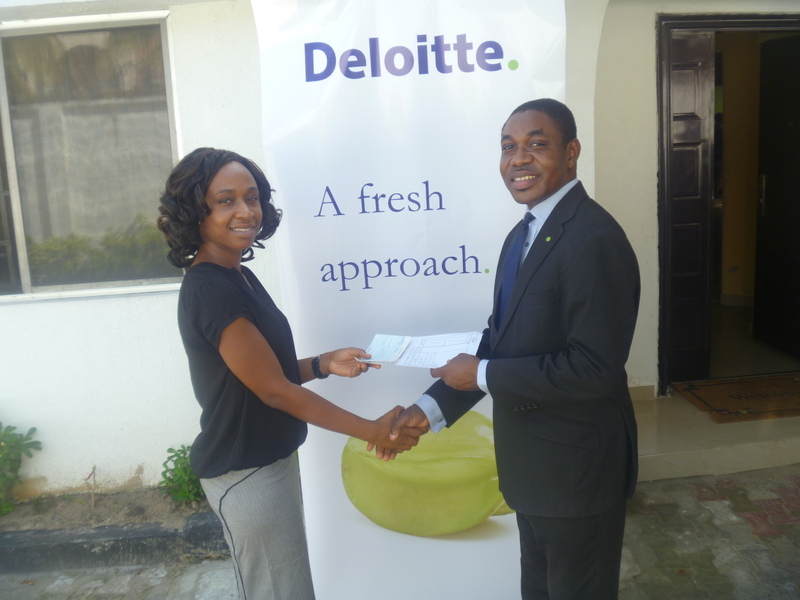 Apart from individuals, we are glad that corporate organisations are also responding to our call for support. We were pleased to welcome representatives from Akintola Williams Deliotte who came to present a cheque to the organisation, and meet with the children too. They have promised to come with their volunteers once a month to help out too! We are truly encouraged by all this support, and wish our friends more favour for their kindness!